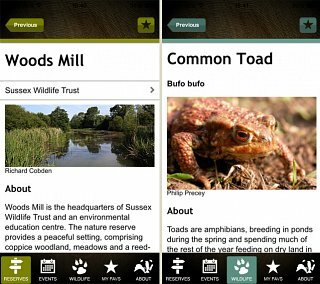 The Nature Finder app is now available to download on both Android and iPhone! Read about all the features available below and click the links to download. 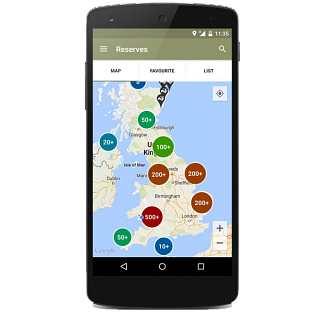 The 'Nature Finder' app contains a map of more than 2000 nature reserves – woods, meadows, moors, heaths, lakes – great places to explore and get close to nature. It also contains a list of events, information on UK wildlife species and a directory for all 46 Wildlife Trusts, including the Sussex Wildlife Trust.